Professor Mark Evans is Head of the School of Communication at the University of Technology, Sydney. He is Series Editor for Genre, Music and Sound (Equinox Publishing) and is currently Editor for The International Encyclopedia of Film Music and Sound. He Co-Edits the international journal, Perfect Beat, and holds an Australian Research Council (ARC) grant to design an artistic and environmental map of the Shoalhaven basin in New South Wales. Philip Hayward is an Adjunct Professor in the School of Communication at the University of Technology Sydney, and a member of audiovisual ensemble The Moviolas. Comedy has been a feature of cinema since its inception. From mickey-moused accompaniments to slapstick scenes, ironic musical statements, clever musical allusions and jokes, well-worn sound-effects, and even laugh tracks, sound has been integral to the development of the comedy on screen. 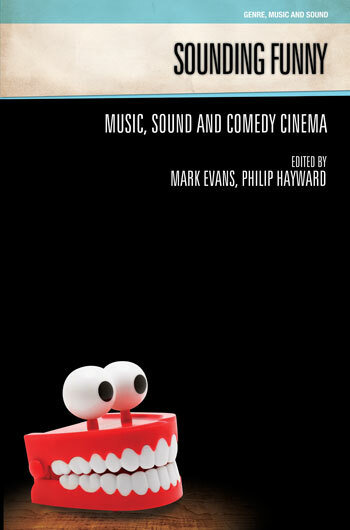 This volume covers all aspects of sound (including dialogue) and music as they have been utilised in comedy film. The volume looks at various subsets of the ‘comedy film’ from the post-War period, including black comedy, romantic comedy, slapstick, dialogue comedy, parody and spoofs. This volume aims to explore the way in which music and sound articulate humour, create comedic situations and direct comedic identifications for viewer/listeners. Dr Liz Giuffre is a Senior Lecturer in Communication for the Faculty of Arts and Social Sciences at the University of Technology Sydney. She also regularly works in the national independent arts press as a journalist and commentator, including work as the regular contributing editor for Metro Magazine, a regular contributor to Critical Studies in Television, and columnist for The Conversation. Comedy is a genre that many commentators and practitioners find how to analyze. It is as if there is something immeasurable about the genre – somehow its range or affect is so subjective that it defies sustained exploration and documentation. Here we seek to explore how comedy on screen works and why its composition has been such a puzzle – suggesting that an important element in the comedic address is often not acknowledged- the role of sound in creating and confirming genre. This chapter serves as an introduction to the collection of case study essays to follow as well as a provocation for further study – calling future researchers to remember that just one sound, the sound of laughter, often creates and confirms comedy’s very presence. We outline some key types of film comedy address here and provide frameworks to recognize them, as well as suggesting areas of inquiry still left as yet unattended. The authors argue that as with all film sound analysis, those interested in comedy should remember the importance of hearing, as well as seeing, the elements that contribute to the art form’s affect. designed to facilitate creative flow for musicians of all skill levels. The idea that instances of humour depend upon the perception of an incongruity is by no means a new idea (Morreall, 1989). Incongruity theories form a major strand of humour studies and have in common a (primarily) cognitive approach to the phenomenon. Oring’s appropriate incongruity theory states that humour depends on relationships that are paradoxically right and yet not-right (2003). This collision of seemingly ‘incompatible matrices’ (Koestler, 1964) need not be limited to one sensory mode however. As an audio-visual medium, cinema has the potential to articulate humour by playfully synchronising sight and sound in an appropriately incongruous fashion. In these cases, the humour may arise as an emergent property of the synthesis, rather than belonging to either of the texts independently. Case studies from comedy cinema of the post-War period are examined to demonstrate a variety of ways this humorous synthesis can occur. Ben Winters is Lecturer in Music at The Open University, UK. His research—which focuses on Hollywood film music of the studio era, fin-de-siècle Vienna, and the works of Erich Korngold—has been published widely in journals including Music & Letters, Cambridge Opera Journal, and Music, Sound, and the Moving Image. He is the author of Erich Wolfgang Korngold’s The Adventures of Robin Hood: A Film Score Guide (Scarecrow Press, 2007), and Music, Performance, and the Realities of Film: Shared Concert Experiences in Screen Fiction (Routledge, 2014). Taking the ‘Prince and the Pauper’ story as the basis for a money-fuelled ’80s comedy, Trading Places (dir. John Landis, 1983) skirts around issues of class, race, and gender. Its cultural satire, though, is primarily catered for through its casual dialogue references to operas (Porgy and Bess, La Bohème) and an Elmer Bernstein score that parodies classical favourites alongside continued references to the parallel world of Mozart: opening with a curtailed version of the Marriage of Figaro overture, the film can be read in part through the lens provided by its more illustrious operatic precedent.Interpretations of the film, however, are faced with an important question: is it a promoter of conservative Reaganite capitalism, or a satire that draws attention to the social inequalities of Reagan’s first-term America? In considering the music, I suggest that that there may be a subtler satirical process happening that sidesteps issues of social injustice to make a point about the overdrawn opposites inherent in Reagan’s social policy. Like the eighteenth-century genre of opera buffa to which the film makes reference, though, these satirical aspirations are ultimately secondary to the film’s primary function: to entertain. Erik Heine is Professor of Music at the Wanda L. Bass School of Music at Oklahoma City University. He has presented and published on music in films as diverse as ¡Three Amigos!, The Magnificent Seven, Grigori Kozintsev’s adaptations of Hamlet and King Lear, Signs, Fearless, and The Truman Show. He currently teaches Music Theory and Aural Skills and courses in Classical Era Form and Music Since 1900. In his spare time, he is an avid runner. The chapter investigates how composer Elmer Bernstein took elements from his famous score for The Magnificent Seven and reused and reworked them into his score for the Western comedy ¡Three Amigos! Although much of his music is “straight,” Bernstein did compose cues intended to be humorous, in order to highlight the absurdity of the on-screen image. He also reworked a love theme cue from The Magnificent Seven into something entirely different in ¡Three Amigos!, again emphasizing the absurdity of the on-screen image. Composer Randy Newman contributed songs to the film as well. When the Amigos sing and dance, it demonstrates that they are entertainers, not gunfighters, and Bernstein’s score propels them to fulfill their movie roles in real life. The Austin Powers franchise has gained much attention for Mike Myers. Commonly thought of as spy film spoofs, this chapter seeks to look more broadly at the range of comedic devices employed in the films. In particular we draw out Myers’ play on the musical and its exaggeration for comedic effect, showing how this genre crossing appeals to a range of audiences across generations and with a variety of modes of address. We argue that parody, pastiche and intertextuality are used masterfully by Myers and a strong part of the films’ appeal, however also acknowledge that audiences without in depth knowledge of the original texts are still able to participate in the comedic address. We also draw comparisons between Myers’ film work here and his earlier development as a sketch television artist, showing how his use of multiple characters and settings has been influenced across media contexts. Ultimately we argue that Myers’ film comedy is rich in its range and scope – a complexity of audio visual engagement that is rarely acknowledged in comedy screen analysis. Jon Fitzgerald is Adjunct Associate Professor in the contemporary music program at Southern Cross University. He is an experienced performer, composer, recording artist and music academic, and his research interests focus on the musical analysis of popular music. Paramount Pictures’ feature Ghostbusters (dir: Ivan Reitman, 1984) was a major commercial success for the company. The film topped the US box office in its year of release and achieved substantial success on subsequent video and DVD releases. The film also spawned group of associated media products, including a film sequel (Ghostbusters II, 1989); two animated TV series (1986-91 and 1997) – also subsequently released on video and DVD; a continuing series of video games; a number of allied comics and novelisations; and a theme park attraction at Universal Studios in Florida. The creative property is estimated to have grossed over a billion US dollars worldwide. Despite this high-level of commercial success, the initial film project was far from an obvious commercial prospect as a left-of-field genre meld of supernatural horror, fantasy and comedy produced on a budget of US$30 million. 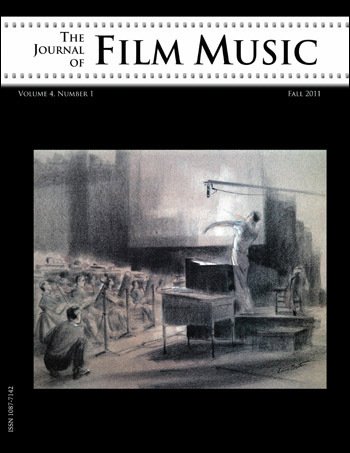 The chapter identifies the manner in which music was crucial to the style, ‘tone’ and impact of the film and played a key role in its marketing. The chapter considers the principal elements of the film’s musical score – its theme song, other pop-rock tracks and Elmer Bernstein’s orchestral compositions – and how these combined to create an integrated thematic text. Additional consideration is given to the nature and function of the promotional video for the film’s theme song and the manner in which its style template facilitated subsequent unauthorized product. Clarice Butkus recently completed her Masters Degree in Humanities and Social Thought at New York University. Her research interests include gender studies, media, film and sound and her articles have been published in international refereed journals such as Media International Australia, Science Fiction Film and Television and Shima: The International Journal of Research into Island Cultures. Phil Claydon’s Lesbian Vampire Killers (2009) is a low-budget British horror/sexploitation spoof that draws on a number of strands of populist British cinema. Originally envisioned as a direct-to-DVD production, the comedic romp follows the lesbian-vampire-killing adventures of two extraordinarily unlikely ‘heroes’ in search of sexual adventures during a hiking holiday. While the film secured a substantial return for its investors, it has attracted the derision of cinema critics and adverse reaction from gay media outlets for its representation of lesbianism. Despite this panning, the film includes a number of original and accomplished aspects; in particular, its musical score and sound design. This chapter analyses the manner in which the film’s sonic elements relate and give substance to the film’s slender narrative and its superficial renditions of quasi-lesbian vampiric lust within a comic framework. In particular, the chapter analyses the dynamics of the alterations of theme and mood between its comic and horror elements and how music and sound orientate and inflect these. Jonas Westover received his Ph.D. from the City University of New York in 2010. His work has focused on pre-1927 Broadway musicals and revues, but he also writes on film musicals and other popular music styles. He also contributed over 400 entries to the New Grove Dictionary of American Music. A monograph on the “Passing Show” series of revues is forthcoming from Oxford University Press. Comedic dance is not an easy effort—though it is designed to look more natural and spontaneous than most “dramatic” movement. Singin’ in the Rain (1951) contains a variety of dance numbers, some of which combine elements of a plethora of styles and approaches. “Make ‘Em Laugh,” however, is solely a vehicle for the comedic talents of Donald O’Connor, combining an ultra-physical dance with an up-beat, full-orchestral score. What makes the number work brilliantly is O’Connor’s aspects of his physical presence put into (and out of) sync with the music, challenging the comedian to keep the whole number both a dance and funny. The success of the final product depends on this interplay between performer and non-diegetic orchestra, made even more interesting with the dubbed-in sounds added after the scene was filmed. This article compares the musical/physical relationships established in the three filmed versions of this song (The Pirate—as “Be A Clown,” Singin’ in the Rain, and De-lovely) demonstrating the ways in which the human body interacts with its accompaniment for comedic effect. It is necessary to understand the visual language of film as well as the details of the musical support to explore the ways in which the performers are successful (as O’Connor is) or simply do not work (Kevin Kline’s turn as Porter in De-lovely). The result is a fascinating lineage between three very different ideas of music, comedy, and the body’s relationship with the two. Kimmo Laine is a collegium researcher at the Turku Institute for Advanced Studies (TIAS) and a lecturer of Film Studies at the University of Oulu. He has published two books (in Finnish) and a number of articles (in Finnish and English) on film and genre history, as well as co-edited a series of anthologies on Finnish film makers Valentin Vaala (2004), Hannu Leminen (2008) and Matti Kassila (2013). His ongoing research seeks ways to analyze film style with awareness of contextual factors. Matti Kassila’s Kaasua, komisario Palmu! (1961) is a Finnish detective film combining moods of suspense, horror and comedy. Besides mixing genres the film also blurs the boundaries of popular film and cinematic modernism, especially by its imaginative use of sound. Concentrating on both spatial and temporal transgressions in music, dialogue and sound effects, the chapter examines how different collisions between sound and image or between different musical styles, as well as various patterns of repetition or asynchrony, contribute to the film’s popular-modernist aesthetics. Laura Miranda received her PhD in December 2011 for her dissertation, Manuel Parada and Spanish film music during the Franco regime: analytical study. She has published in the journals Cuadernos de Música Iberoamericana, Revista de Musicología and MSMI, and has collaborated on the book Cine de cruzada en España: creación musical cinematográfica para un imperio (IICMU, 2011). At present Dr Miranda’s area of research focuses on the audio-visual analysis of Spanish culture and society. This chapter addresses a particular era of Spanish film making, that of the 1940s, through a seldom-studied genre: comedy. For the public, comedy represented an escape from the difficult socio-economic environment of postwar Spain. Despite its presumed innocuousness, the genre’s relaxed and carefree scripts can be regarded as subversive in that they that showed a way of life far removed from the reality of everyday existence. Far from the cine de cruzada, literary adaptations or historical films; comedies represented, for the majority of Spaniards, a point of access to musical modernity, not only European but also North American, through stylised jazz rhythms (which were progressively introduced into comedies during the period of the Second Republic (1931-39). Yūji Nakae’s 1999 film Nabbie’s Love is a contemporary comedy shot on Aguni, a small, sparsely populated island off the west coast of Okinawa. In genre terms, the film is connected with various traditions. It can be identified as a ‘comedy of manners’, in the Western sense of that classification, since it wittily depicts the foibles and social minutiae of a specific community as it negotiates the impact of an illicit romance conducted within it. Its musicality is less easily aligned. Despite the prevalence of music, it cannot be considered a ‘musical’ in any conventional sense, since it does not feature an alternation of realist narrative drama and ‘set-piece’ musical numbers. However, it is so thoroughly imbued with music that it might be considered to represent an idiosyncratic form of musicalised drama. It approaches the latter category by utilising music (and, in particular, the shima uta – ‘island songs’ – distinctive to its locale) as an element that brackets and defines the characters’ interactions. The film’s songs inform the audience about the film’s characters and their motivations and anticipate, comment on and precipitate its comedy and drama. The chapter analyses the musical elements of the film’s text with regard to these factors and offers a reading that illustrates how these are deployed to produce a singularly effective style of musicalised romantic comedy. Gregory D. Booth is an Associate Professor of Ethnomusicology in the Department of Anthropology at the University of Auckland and has been engaged in the study of Indian music and culture for more than thirty years. He is the author of two books, Behind the Curtain: Making Music in Mumbai’s Film Studios (OUP 2008) and Brass Baja: Stories from the World of Indian Wedding Bands (OUP 2005), and numerous articles on music, film, industry and culture in South Asia. He recently edited More than Bollywood: Studies in Indian Popular Music (Booth & Shope, OUP 2013) and is currently studying aspects of India’s music and film culture-industries, focusing on a wide range of factors including intellectual property, technology, industrial structures, and the music-film relationship. This study examines music’s potential for highlighting or amplifying the behavioural or verbal exaggerations and departures from the norm that are essential to the production of humour. It engages with the semiotic ambiguities of musical sound and the relations between sound, text and image as these occur and are exploited in the song scenes of the Hindi cinema. Because song scenes occupy a distinctly non-linear position in the linear narratives of the cinema, these scenes are primary sites for the production of humour. The study focuses on three specific issues. First, I examine the sonic process of musical detail in the production of comedy. How does musical sound reinforce comic meanings produced by image and text? I argue that musical sound has inherent limitations in the Hindi cinema’s comic song scenes, but also that comedy’s extra-normal nature is enabled by the conventions surrounding those scenes. Second, and in addition to these inherently structural issues, the study considers the special relationship that comedy in Hindi song scenes has with representations of gender, social class and character type: Comic song scenes are narrative location in which a ranged of potentially “othered” social categories may be constructed as objects of laughter. Finally I suggest that comic song scenes shift between laughter as dramatic representation, experienced sympathetically by the audience, and as an audience response to an objective incongruity. Originally trained as a concert pianist at the Royal Academy of Music, Peter Morris moved into research in areas such as artificial intelligence, mathematical modeling, human interface design, systems usability and mapping the usage of the Internet across Europe. Realising the folly of all of this, he returned to music and has spent 10 years researching music for animated cartoons and especially the compositions of Scott Bradley. This resulted in Peter being commissioned to create a suite of Bradley’s Tom and Jerry music that was performed at the BBC Proms in 2013. Other research interests include computer-mediated composition, especially using SuperCollider, and the work of Stephen Sondheim. Peter is currently a Senior Teaching Fellow at the University of Surrey in the UK. Humour between the Keys is an analysis of the music used in The Cat Concerto (MGM 1947). The paper looks at how Scott Bradley constructed his score from the original Liszt Hungarian Rhapsody, what changes Bradley made to the original score and why the piece is so commonly used in animated cartoons. Predicated on theories of humour, the paper is, nonetheless, a working study of the music, which contributed to The Cat Concerto winning an Academy Award for Best Cartoon. Through analyses of franchises, films, and sequences, Sounding Funny successfully identifies numerous ways in which music and sound have been used to create on-screen humor across genres, cultures, and markets. 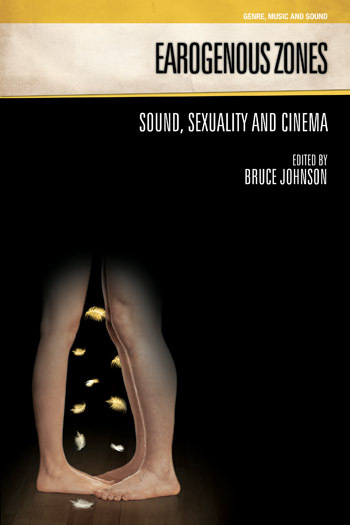 Its coverage of these sonic moves is by nature diffuse, but the book nevertheless recognizes several primary methods for enhancing filmic comedy through sound, including playful incongruity, intertextual reference, and meaningful contrast between musical styles. The value of this book lies in its breadth, and its authors’ many observations and detailed studies provide fertile ground for future research into the connections between music, sound, and humor.